Fuel Economy: 6.1L/100km*. Annual fuel cost of $1,710. 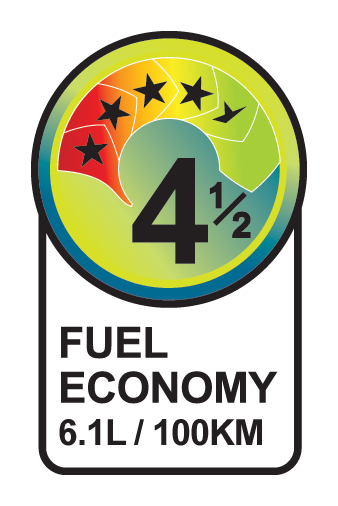 *Your actual fuel consumption will vary from that shown, depending on factors such as vehicle condition and any vehicle modifications, driving style, traffic conditions, distance travelled and fuel price variations. These figures are produced under controlled conditions for comparative purposes only. Visit www.fuelsaver.govt.nz for more information. New Zealands favourite car the Toyota Corolla is built with quality & reliability as standard. Corolla meets stringent emission standards while delivering excellent fuel economy. Take a look at the range of safety features built into every Corolla, and you'll see why it's one of the safest cars on the road. Finance with us today & own this vehicle for $98.05 Per Week! Based on a 60-month classic finance term, with an interest rate of 10.65% per annum and a deposit of 10%. Advertised figure is subject to lending and approval criteria of Toyota Financial Services, and is indicative only and not an offer of finance. Inclusive of a $400 establishment fee and a $9.20 PPSR processing fee. Here at Auckland City Toyota we have over 150 Used Vehicles at any one time, including Toyota Signature Class vehicles over our three conveniently located yards which are based in Grey Lynn, Greenlane and Mount Wellington. We have Finance & Insurance specialists on site to assist you with a range of competitive Toyota Financial Services including, Financing, Vehicle Leasing options and Toyota Vehicle Insurance (subject to lending criteria). We can also assist with Extended Warranties and Service Plans. With three fully equipped Service Departments to service all makes & models and Toyota factory trained technicians we can service your vehicle more efficiently saving you time and money. We also have a dedicated Parts Department. Auckland City Toyota is currently experiencing a high demand for New Zealand new pre-owned vehicles, so the time has never been better to sell or trade-in! Got a question you want to ask the store about this vehicle? Post it here and they'll email you with an answer. Completing this form indicates your intention to purchase this vehicle. On receipt of your information this vehicle will be removed from public display and we will contact you to finalise the purchase. Thanks for your enquiry, it has been sent to your dealer. They will be in touch with you shortly.